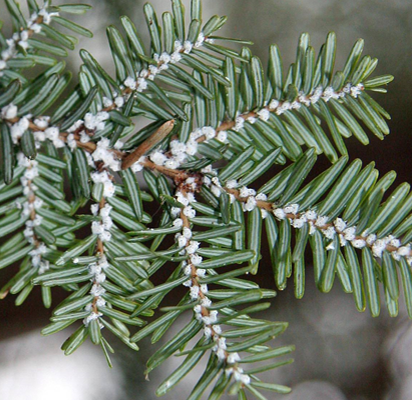 Land Owner Workshop for property owners who have Eastern hemlocks growing on their properties is scheduled for Saturday, December 3, 2016 at the Naples Village Hall, 108 South Main Street (Rte. 21), Naples from 10 am until noon. The HWA is spread by the wind, by birds, or by humans or other animals- infestations do not spread by flying HWA. HWA produce two generations a year, and all are female and reproduce asexually. The HWA is active during the winter, which allows it to avoid predators (which are generally active during the summer) and to take advantage of the hemlock’s increased energy intake during the winter.